US Congresswoman Mia Love is Haitian American. 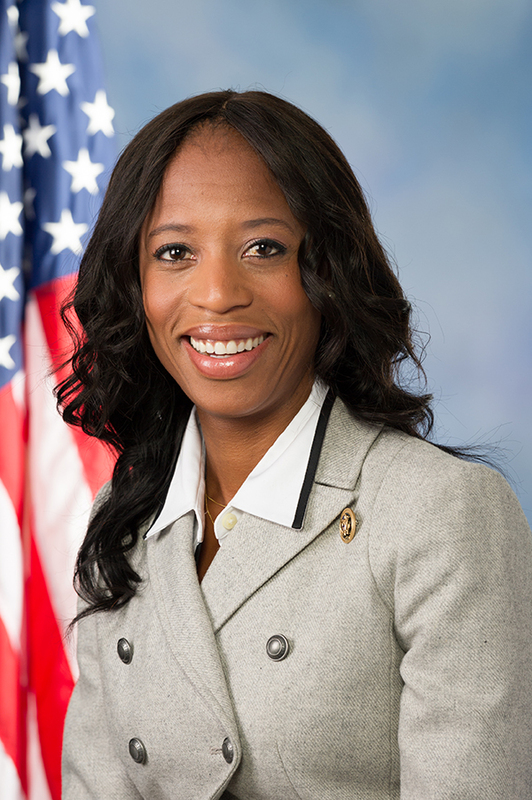 Born Ludmya Bourdeau, “Mia” Love became the first black Republican and first Haitian American elected to the U.S. Congress. The Brooklyn-born Love, who is a self-confessed Tea Party-ite and pro-life conservative, has actually broken barriers before. 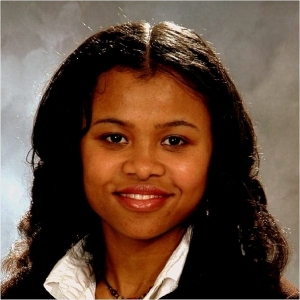 She was the first female Haitian-American elected official in Utah County, Utah. Her parents fled Haiti in 1976 to rid themselves of the dictatorship of Francois “Papa Doc” Duvalier and her father, as she reminds interviewers regularly, worked at several jobs — janitor and factory worker — to get her through college at the University of Hartford in Connecticut. She married Jason Love whom she met on a Mormon mission, left her Catholic Church and moved to Utah. She served two terms on the city council of Saratoga Springs, one of Utah’s fastest growing cities and eventually became Mayor from 2010-2014. Rep. Love, 40, currently serves on the House’s Financial Services committee. 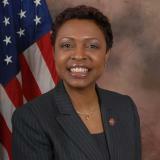 U.S. Congresswoman Yvette Clarke is Jamaican American. Congresswoman Yvette Clarke was born to Jamaican parents in Brooklyn, NY. Clarke served on the New York City Council, representing the Fortieth District in Brooklyn. She succeeded her mother, Jamaican-born former City Council Member Dr. Una S. T. Clarke, on the New York City Council in 2001 to represent the 40th council district in Brooklyn. In 2007, Clarke was successful in her bid for the same 11th Congressional seat her mother had failed to win prior. By 2013 the 11th district was redistricted as the 9th district covering much of central Brooklyn. Democratic Rep. Clarke, 51, is a ranking member of the Homeland Security Subcommittee on Emerging Threats, Cybersecurity, Science and Technology. Last year, she accompanied President Obama on his first trip to Jamaica as President. Attorney General Kamala Devi Harris has Jamaican roots. 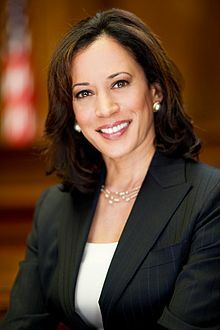 Kamala Devi Harris, the daughter of Jamaican American Stanford University economics professor Donald Harris and Indian breast cancer specialist Dr. Shyamala Gopalan Harris. She made history in 2010 after being elected as first female, the first African-American and the first Asian-American attorney general in California. Harris, 51, was re-elected in 2014 and is currently running for the United States Senate seat being vacated by Democrat Barbara Boxer in the 2016 election. She is reportedly a close friend of President Obama, so much so that her named was being shopped around as a potential nominee to replace Justice Antonin Scalia on the U.S. Supreme Court. 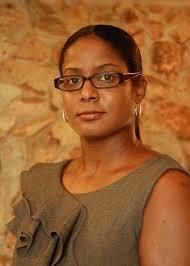 NY State Senator Roxanne Jacqueline Persaud was born in Guyana. Guyana-born Roxanne Jacqueline Persaud was elected to the 19th State Senate District in New York in November 2015 after serving in the State Assembly for less than a year. Persaud replaced convicted former Guyanese-American State Senator John Sampson as district representative for the people of Canarsie, East New York, Brownsville, Mill Basin, Sheepshead Bay, Bergen Beach, Marine Park, Flatlands, Mill Island, Georgetown, Ocean Hill and Starrett City, Brooklyn. Persaud immigrated with her family to Brooklyn, New York at age 17, and went on to obtain a Bachelor’s and a Master’s degree from Pace University. She later served as a school administrator with the New York City Public Schools, and also was involved with her community board in Canarsie, and has served on numerous boards and commissions for the community. State Senator Linda Dorcena Forry of Massachusetts is Haitian American. Haitian-American Linda Dorcena Forry is a Democratic member of the Massachusetts State Senate. She has represented the 1st Suffolk district since June 2013. Forry was born and raised in the Dorchester neighborhood of Boston. 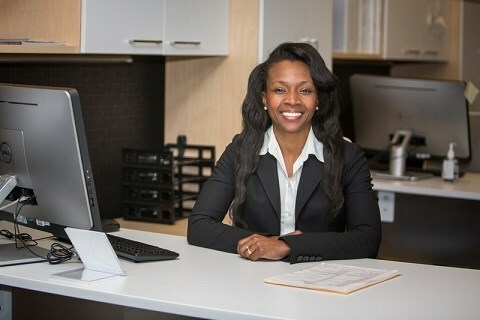 She graduated from BC’s Carroll School of Management in 1997 and received a Masters in Public Administration from Harvard University’s Kennedy School of Government in 2014.Forry was a legislative assistant, working for then-State Representative Charlotte Golar Richie and went on to work as an executive staff at the City of Boston’s Department of Neighborhood Development. Forry won the Democratic nomination in the April 2013 special primary election to succeed state Senator Jack Hart in the First Suffolk Senate district, defeating Rep. Nick Collins. The 42-year-old Forry defeated Republican Joseph A. Ureneck in the final election on May 28th and was sworn in on June 14, 2013 as the State Senator. 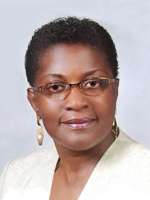 Rep. Hazelle P. Rogers of Florida was born in Jamaica. Jamaican-born Rep. Hazelle P. Rogers is a Democratic member of the Florida House of Representatives, representing the 95th District, which includes North Lauderdale, Lauderdale Lakes, and Lauderhill in northern Broward County. She has served as a Florida state rep. since 2012. Rogers was born in Kingston, Jamaica, and moved to New York City in 1969, where she attended New York City Community College, graduating with an associate degree in 1976. She attended Pace University in 1980, but did not graduate. In 1982, Rogers relocated to the state of Florida, where she became the Secretary of the Eastgate Homeowners Association. She was elected to the Lauderdale Lakes City Commission in 1996, where she served until she was elected to the legislature. While serving on the City Commission, Rogers graduated from the University of Phoenix with a degree in business in 2003.I n 2012, when the Florida state legislative districts were redrawn, Rogers was moved into the 95th District, which included much of the territory that she had previously represented in the 80th District. She won both the primary and general election entirely unopposed. 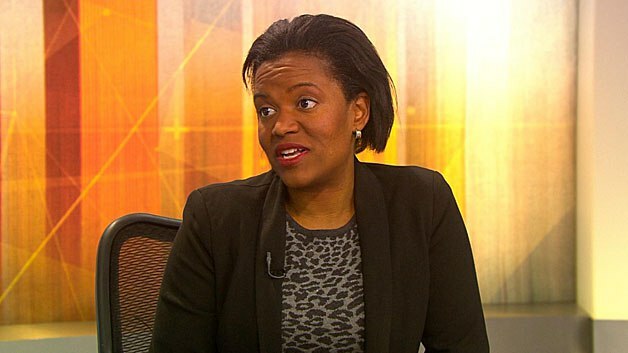 NYS State Assemblywoman Kimberly Jean Pierre is Haitian American. Kimberly Jean-Pierre was elected in the 2014 General Election to the the 11th Assembly District in Lindenhurst, New York. She is the daughter of Haitian immigrant parents and a graduate of Brooklyn College and Stony Brook University. She previously worked in the Suffolk County Legislature as a legislative aide as well as district Community Outreach Coordinator to Congressman Steve Israel. Assemblywoman Jean-Pierre currently sits on the Economic Development Committee, Mental Health Committee, Local Government Committee, Transportation Committee and Banks Committee in the NYS Assembly and is also part of the Black, Puerto Rican, Hispanic and Asian Legislative Caucus. Mayor Ashira Mohammed of Pembroke Park, FL is of Trinidadian heritage. Trinidad & Tobago–roots Ashira Mohammed is the current Mayor of Pembroke Park, a town in Broward County, Florida. The 38-year-old became the town’s first black elected official when she joined the commission in 2003 at age 26 as the board’s youngest member. The town has 6,000 full-time residents, but its population doubles during snowbird season. Mohamed is a graduate of the St. Thomas University School of Law. Haiti-born Charnette Orelien was elected in 2012 to serve as city councilwoman of the West Ward of the city of Irvington, NJ. Orelien migrated to the US in 1996 and has lived in the West Ward since. She is a graduate of Essex County College, Rutgers University and Seton Hall University. In the city of Irvington’s 320-year history, she is the first Haitian-American to win a seat in the city’s Council. However, more Haitians reside in the city than any other ethnic group. Commissioner Lisa Cupid of Georgia is of Guyanese descent. Lisa Cupid was born to Guyanese parents in Brooklyn. She is currently the Commissioner of District 4 in Cobb County, Georgia after winning a 2012 election to the post. District 4 is home to great attractions like Six Flags Park, Silver Comet Trail, the Mable House Amphitheater and the new Riverside Epicenter. Cupid , 38, was raised in Southfield, Michigan, a suburb of Detroit and is a graduate of Georgia Tech engineering and Georgia State College of Law.